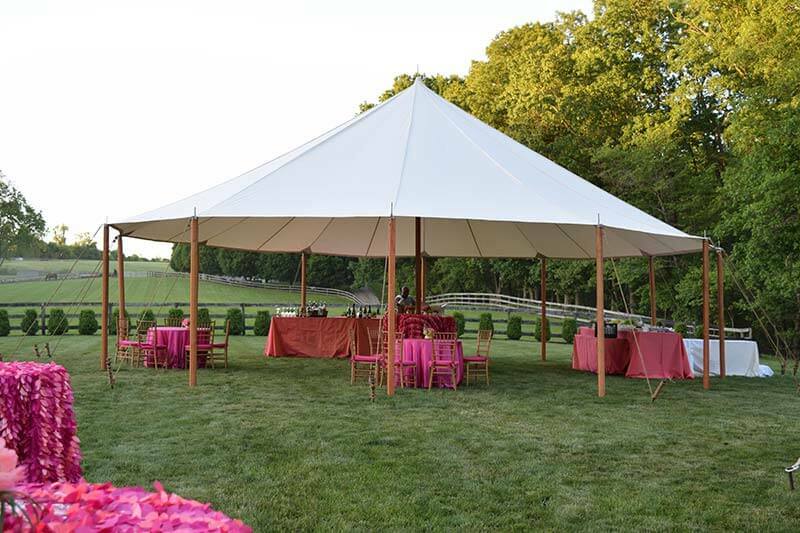 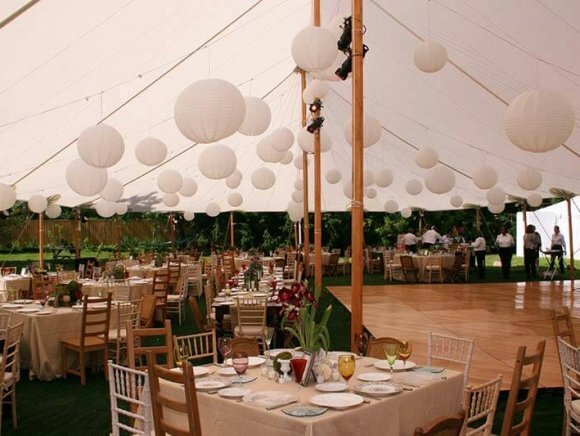 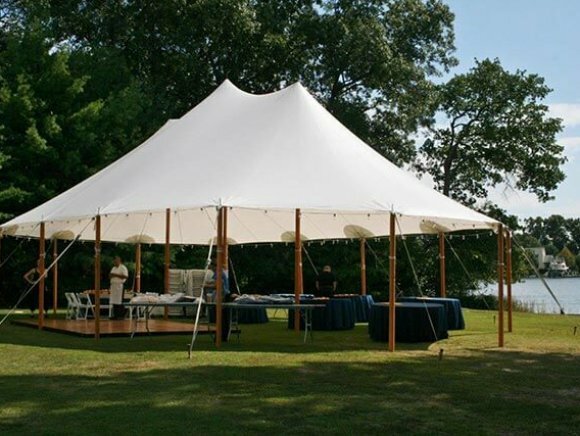 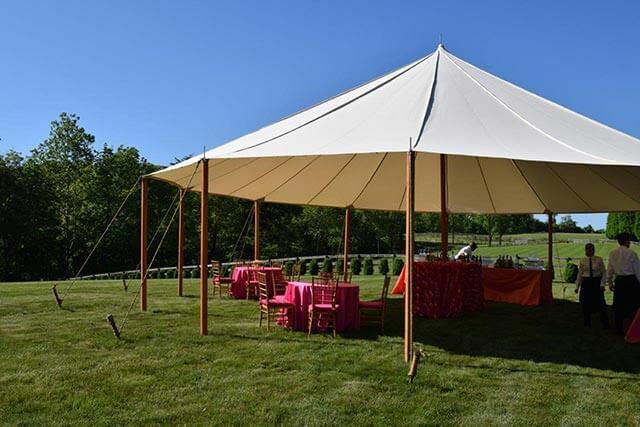 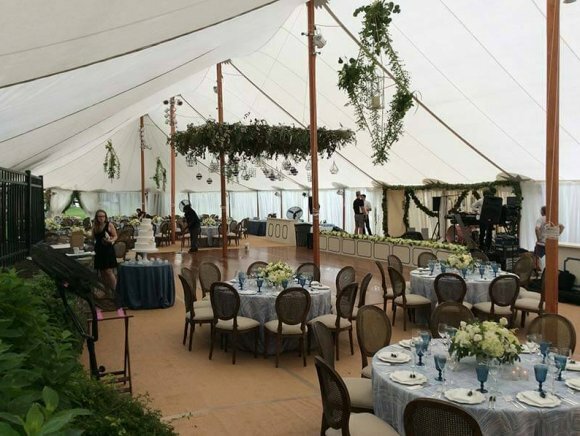 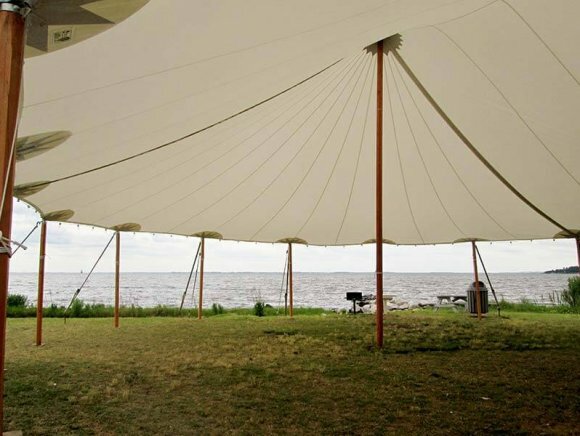 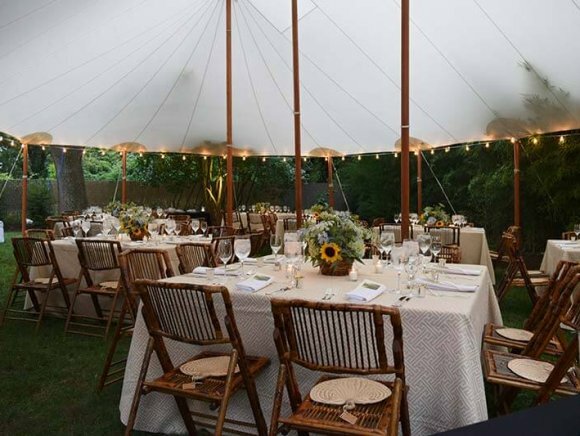 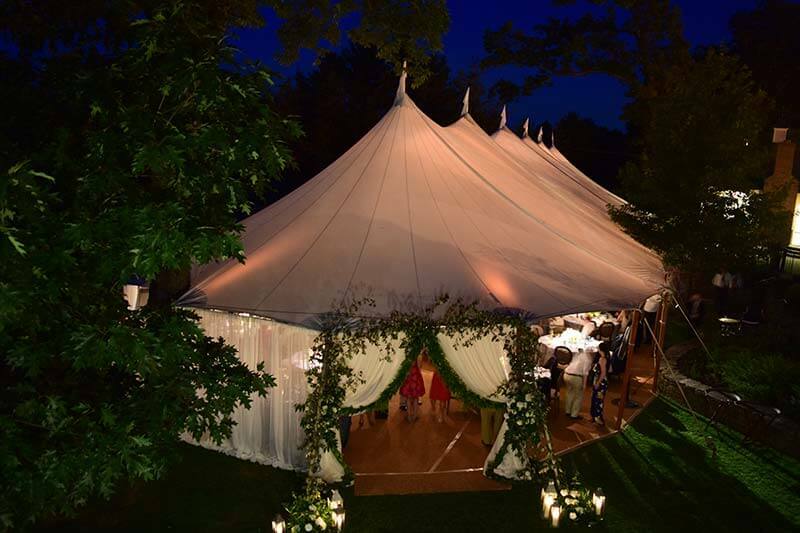 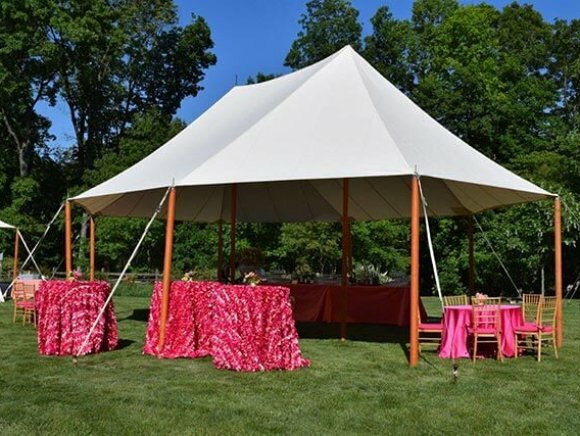 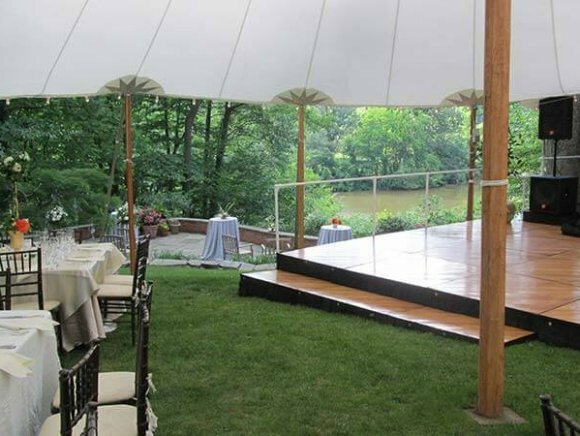 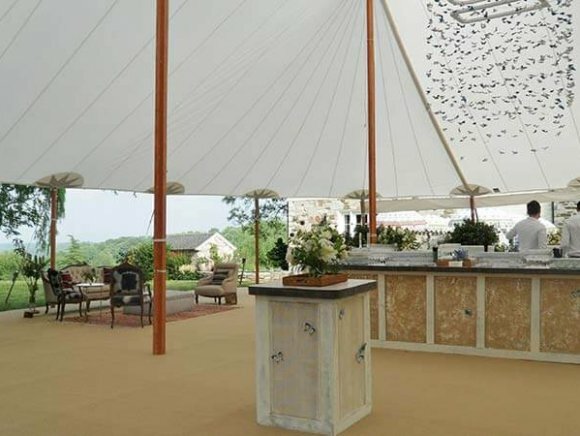 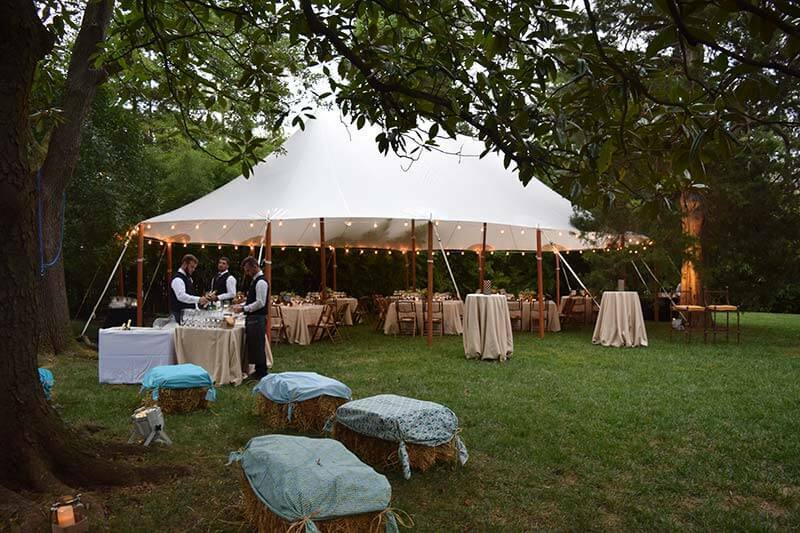 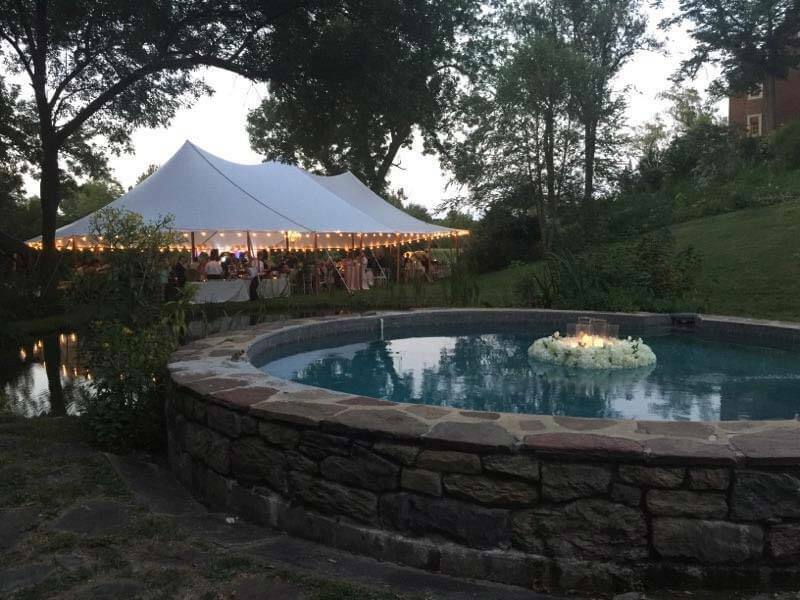 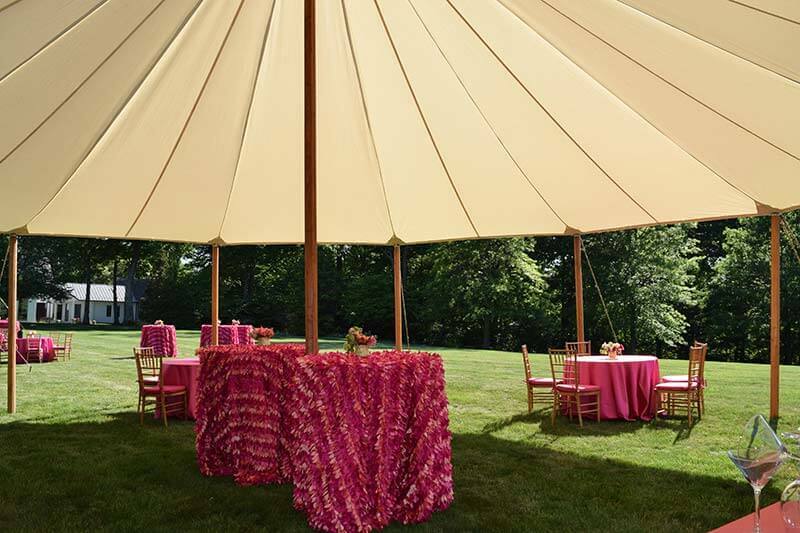 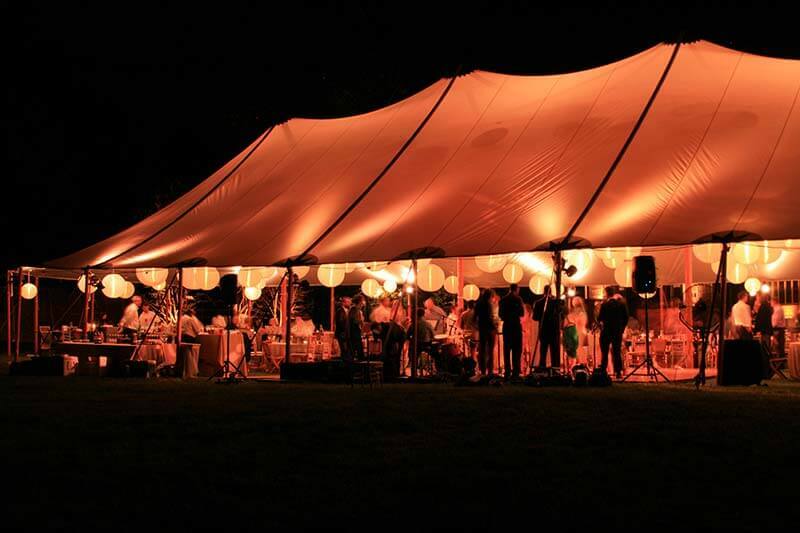 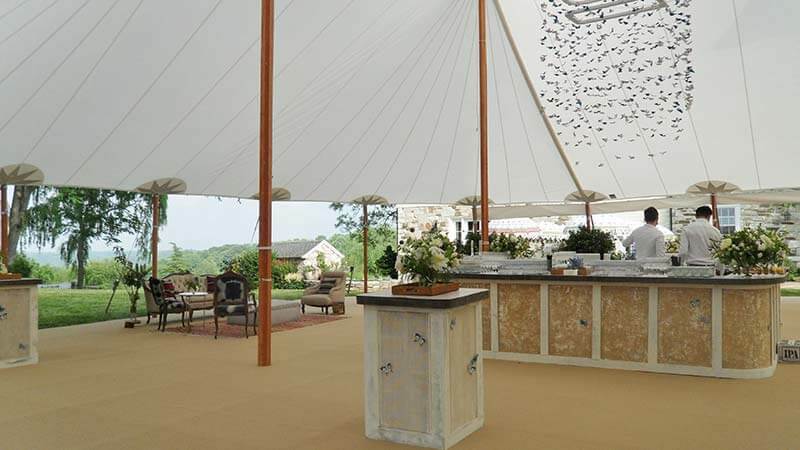 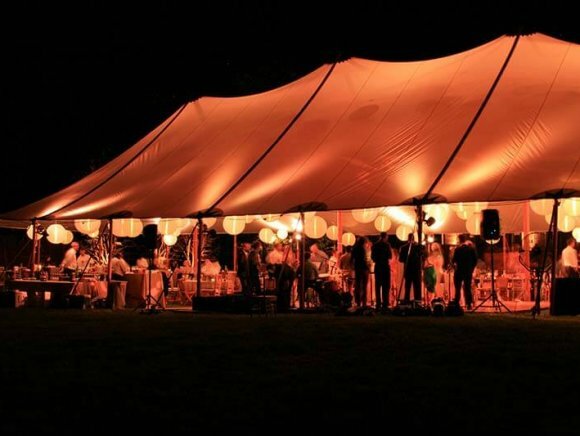 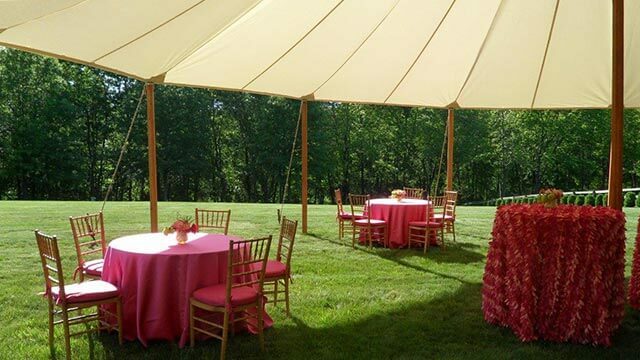 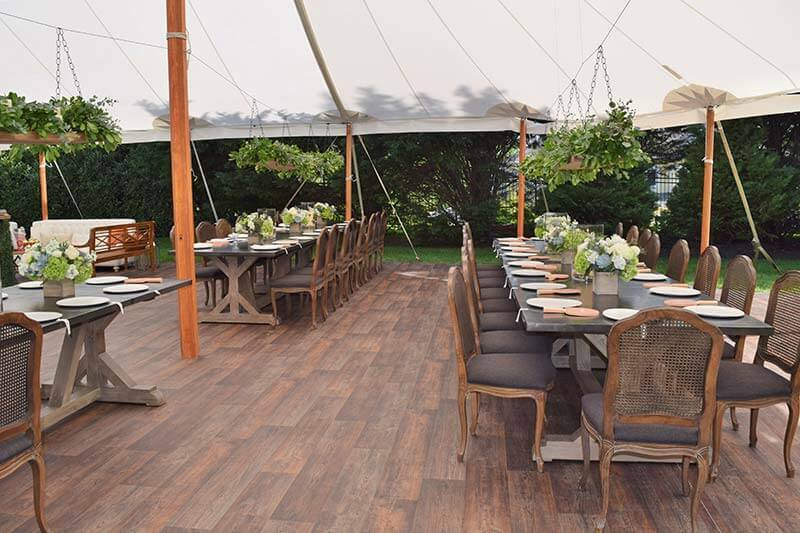 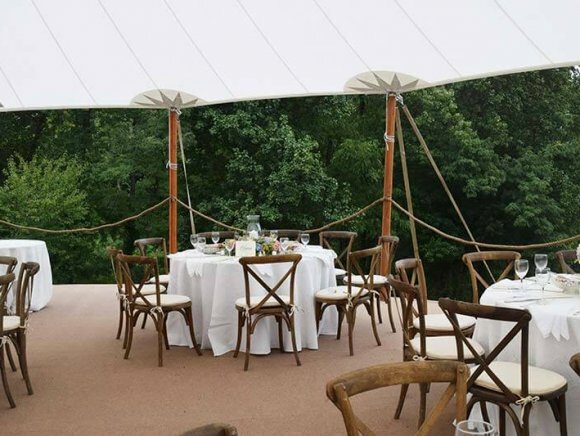 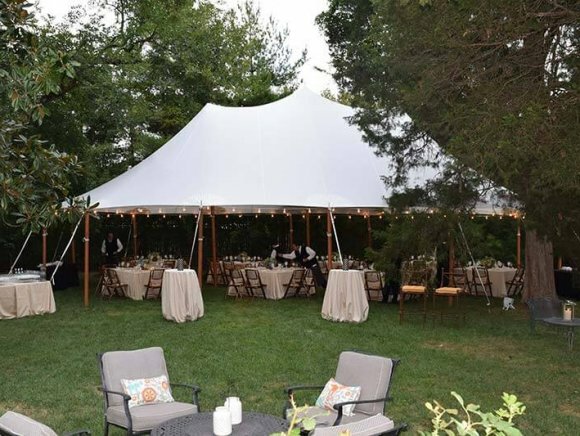 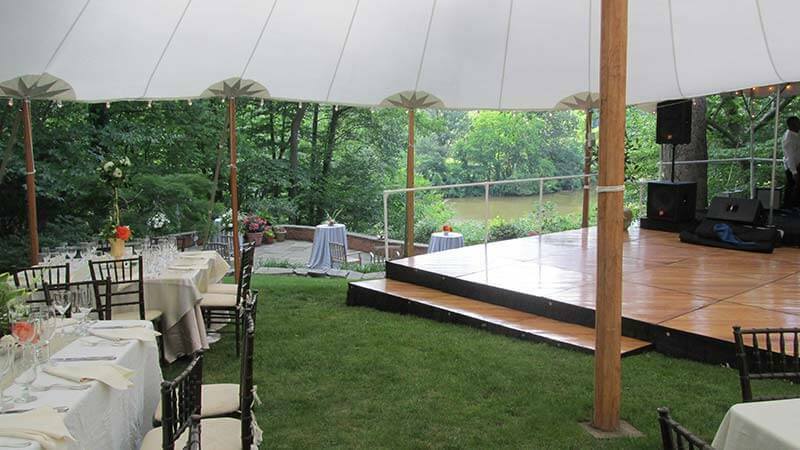 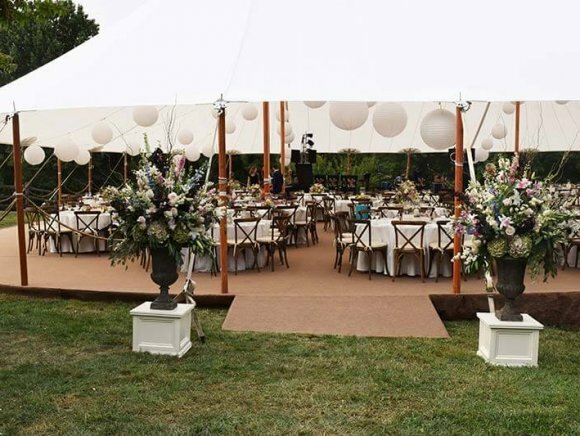 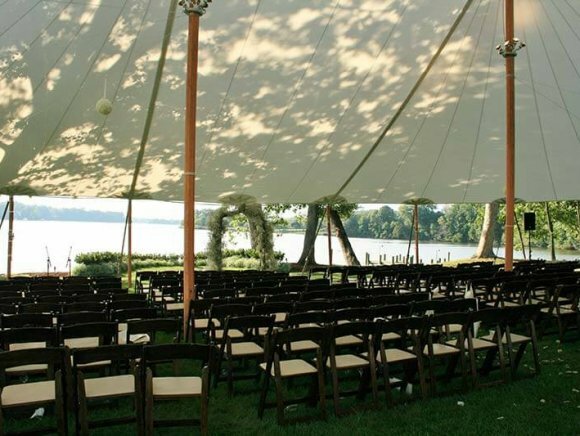 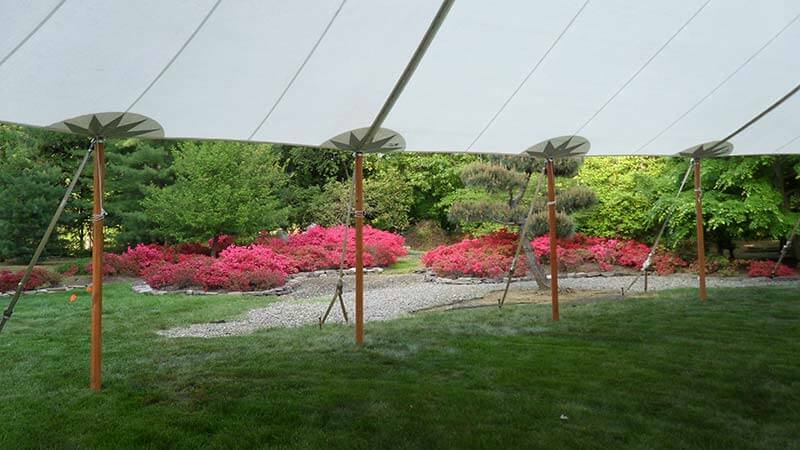 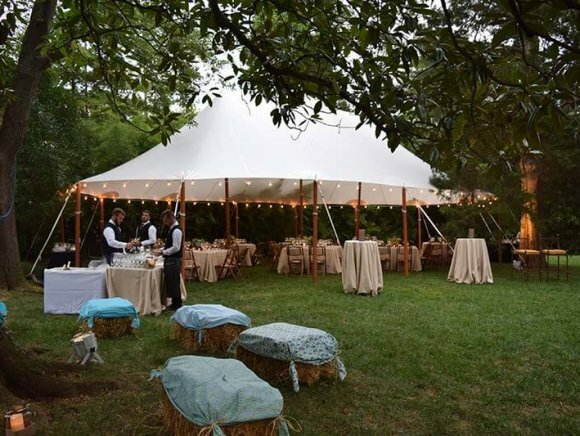 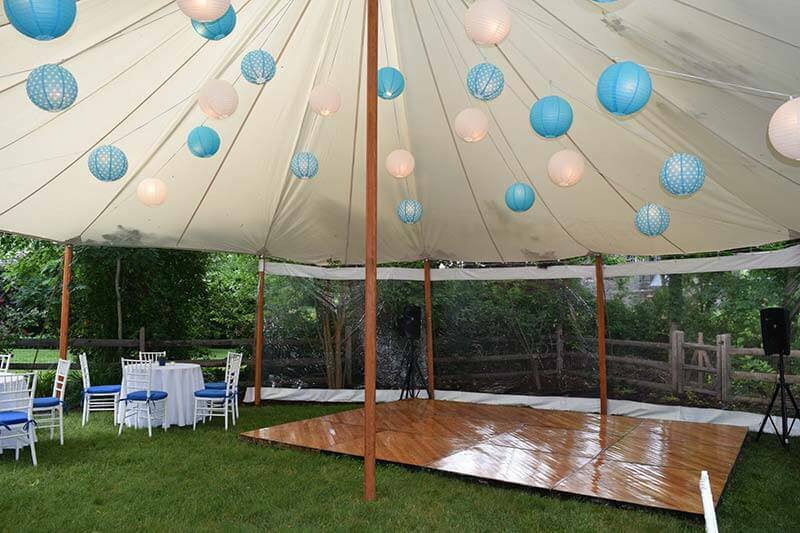 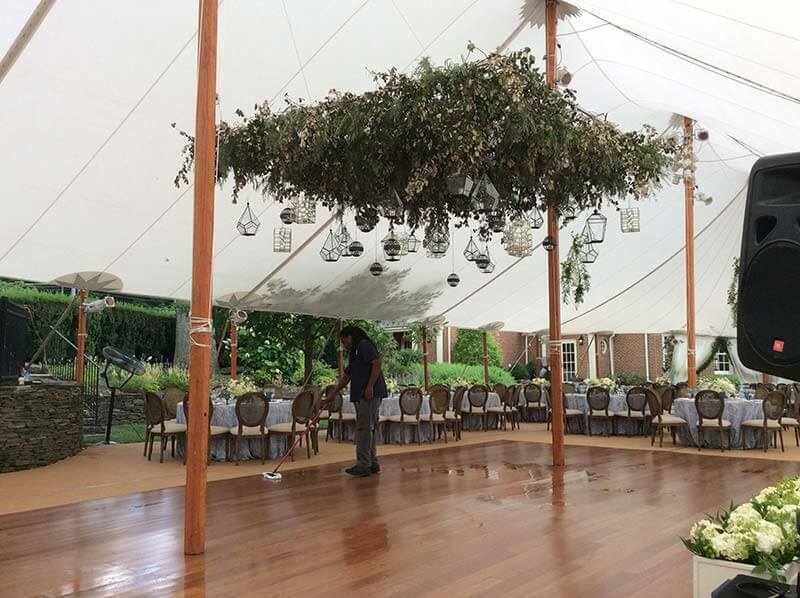 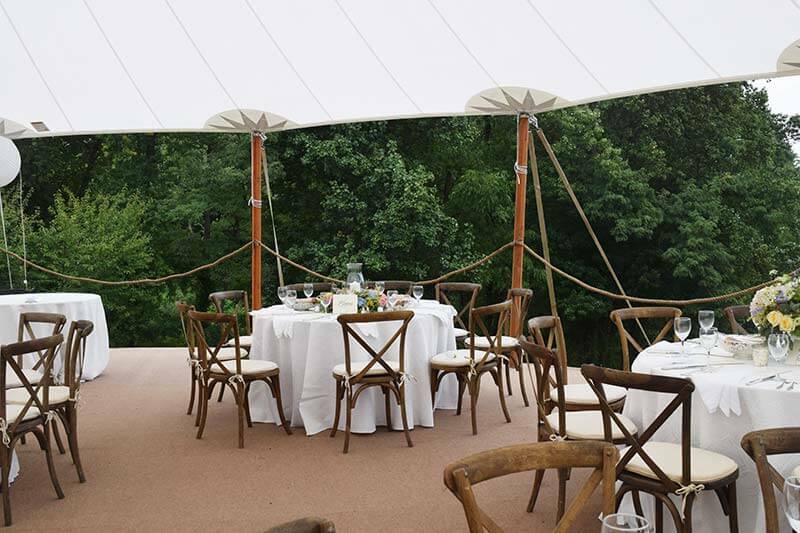 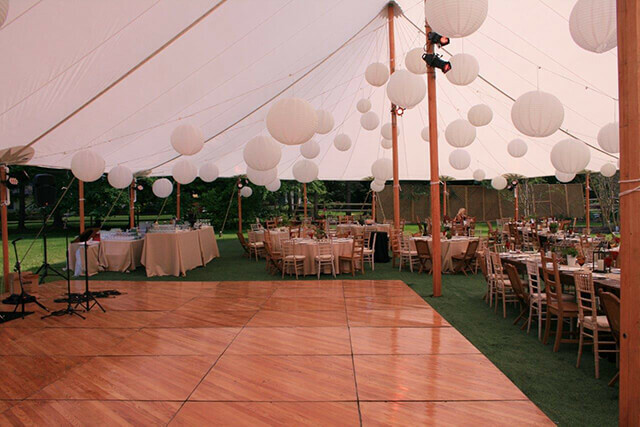 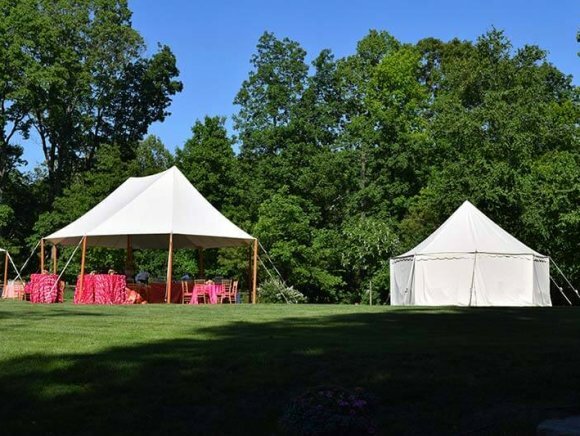 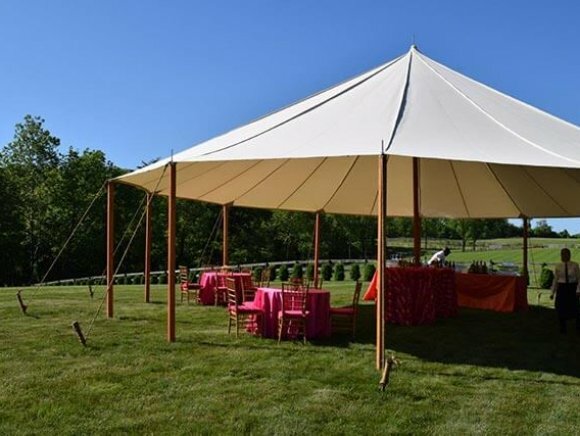 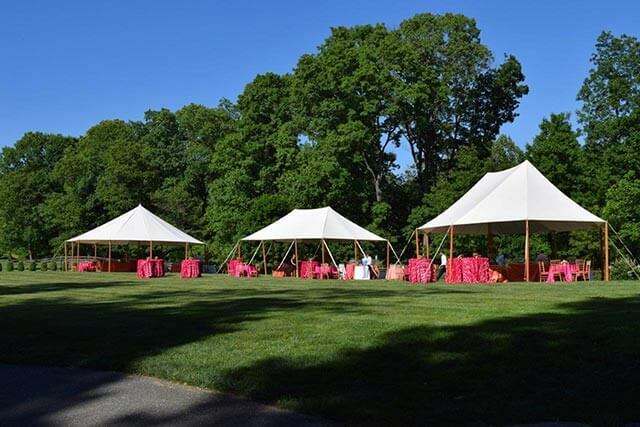 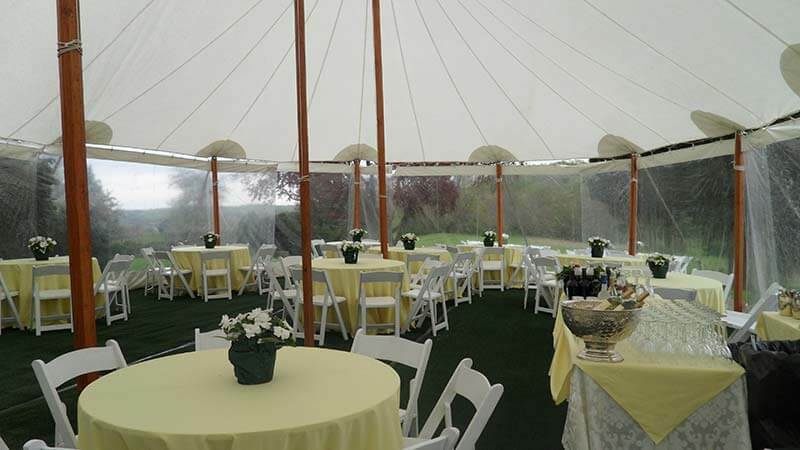 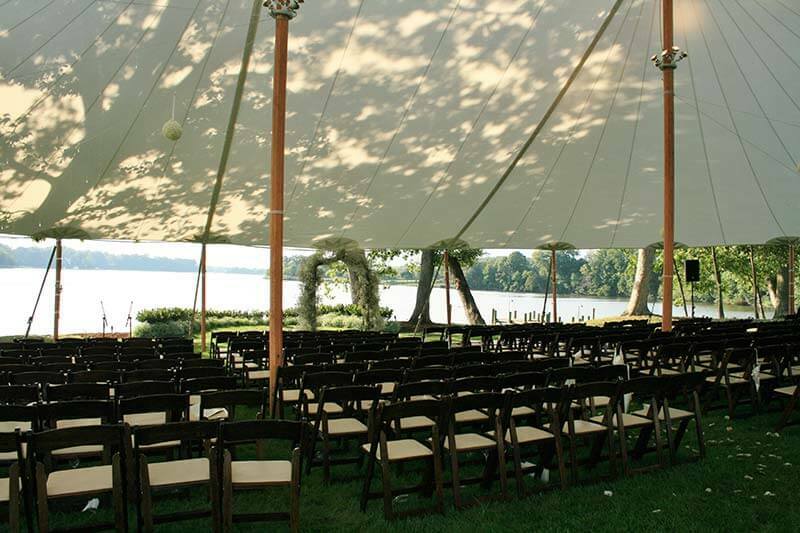 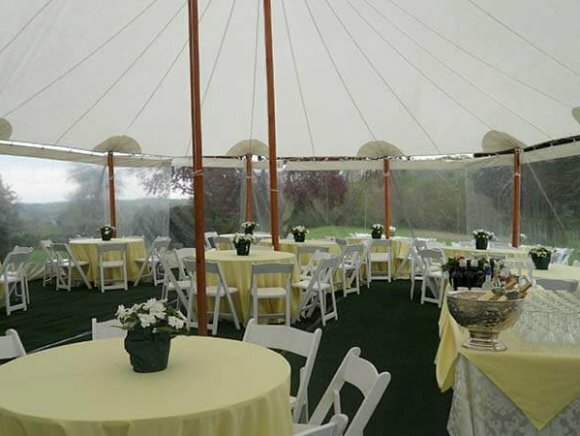 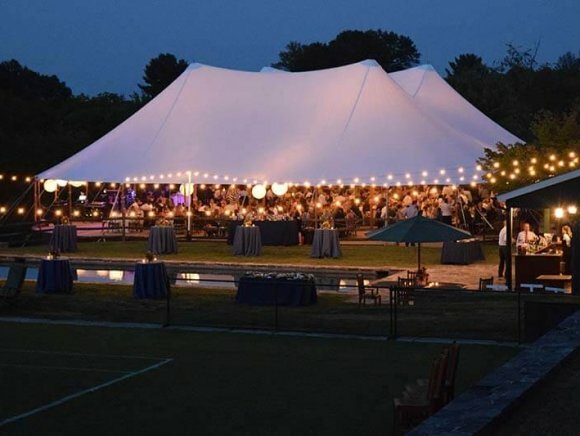 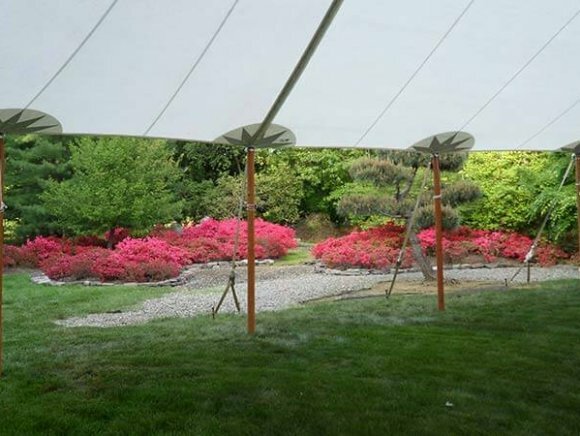 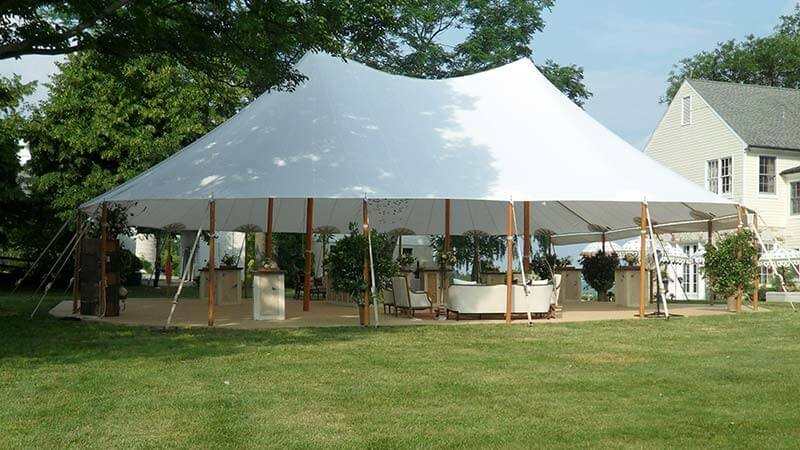 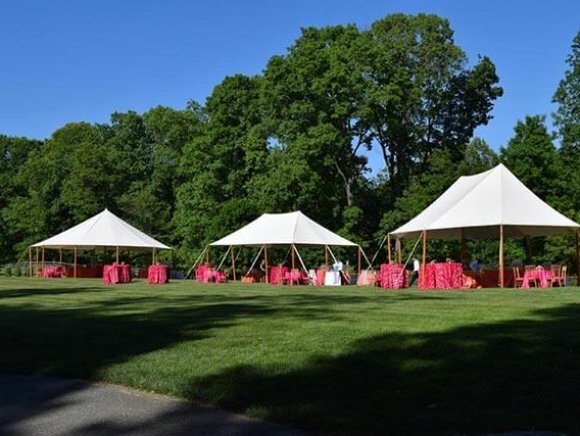 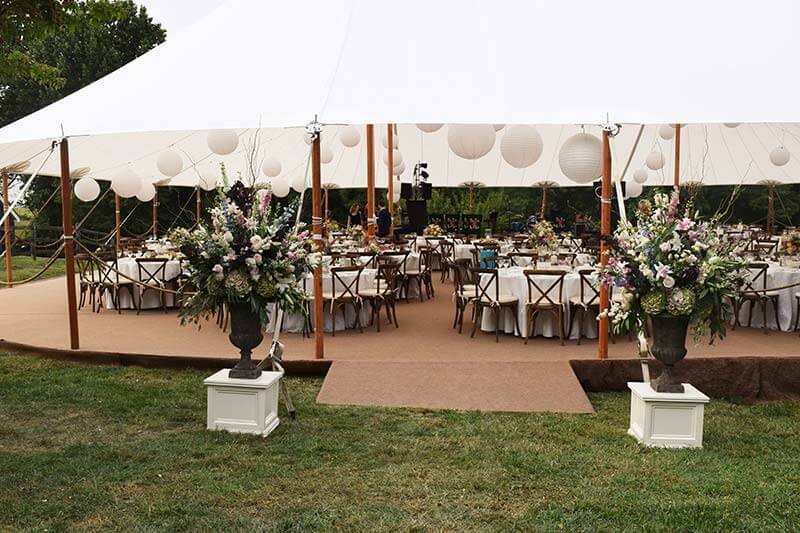 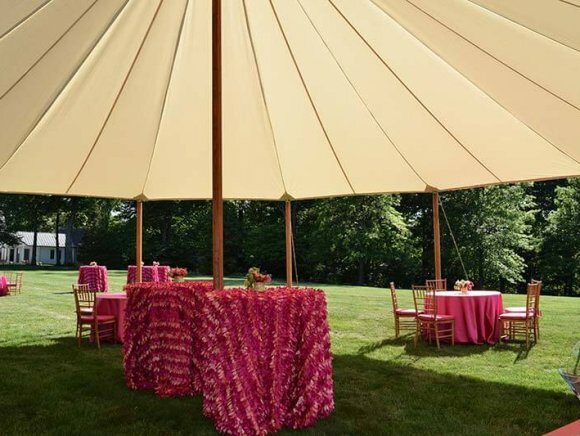 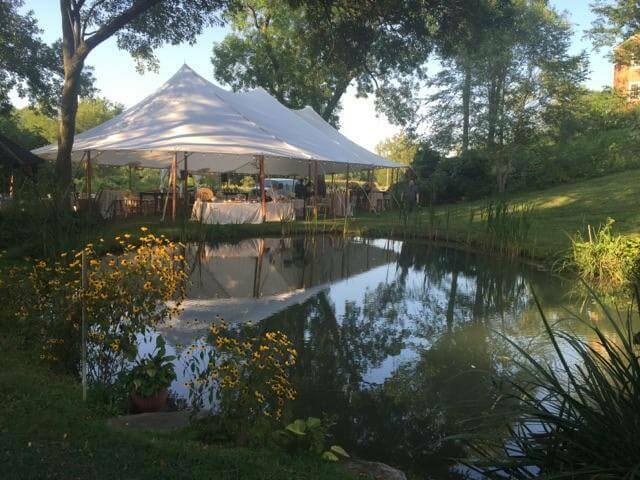 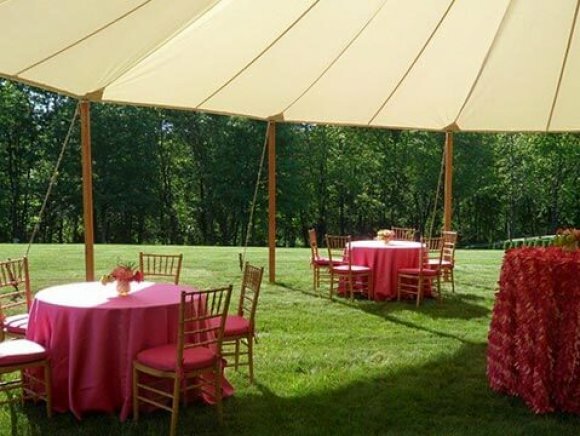 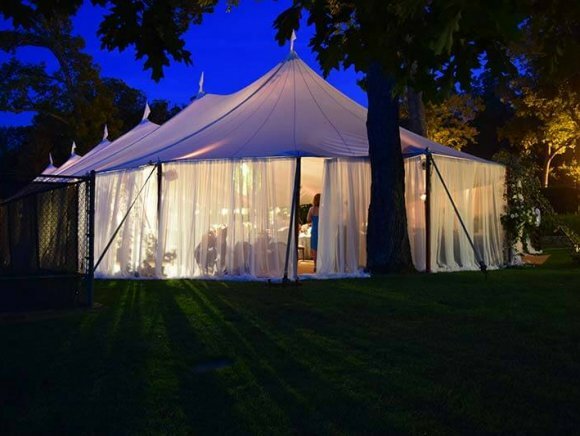 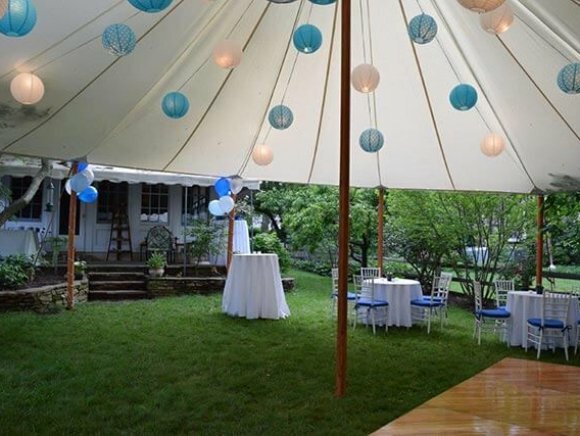 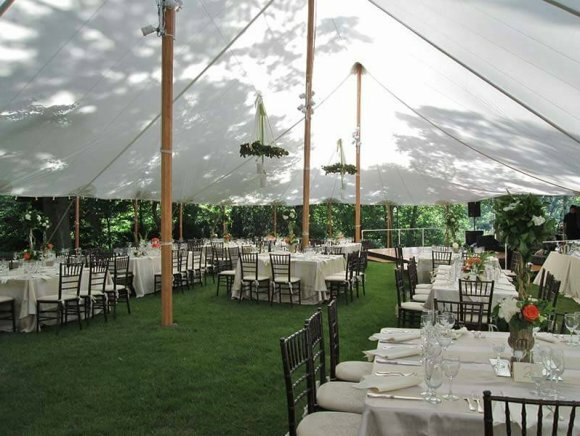 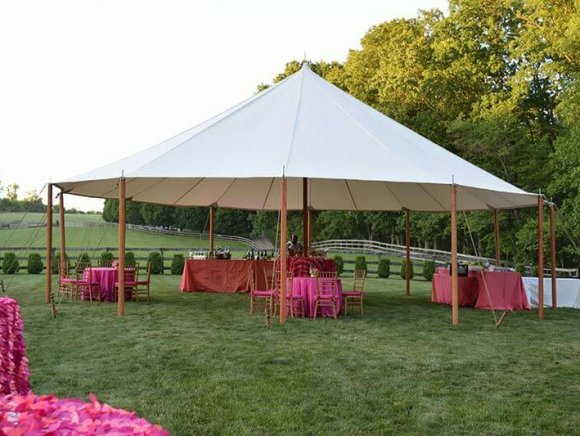 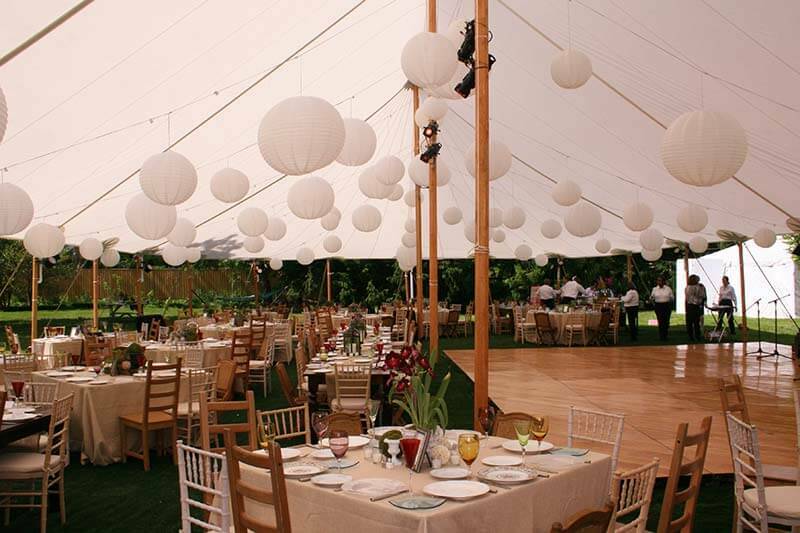 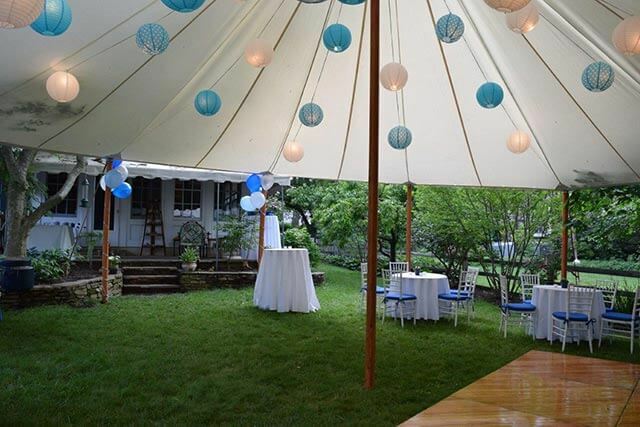 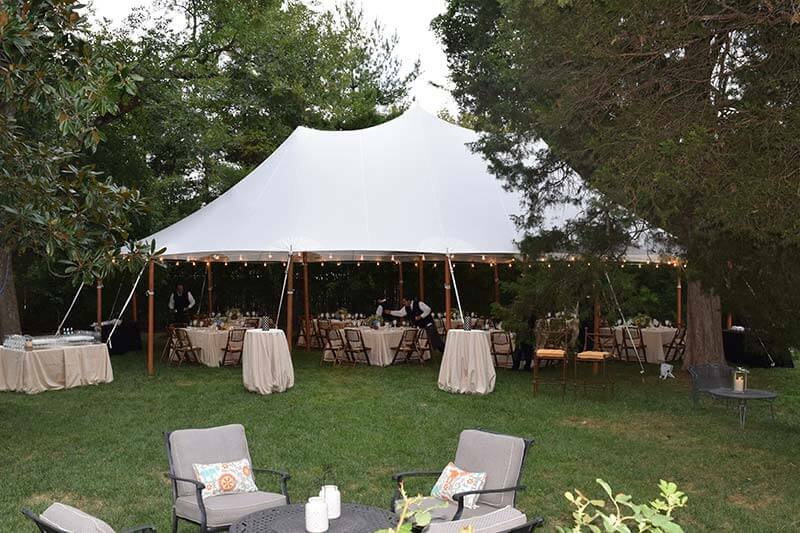 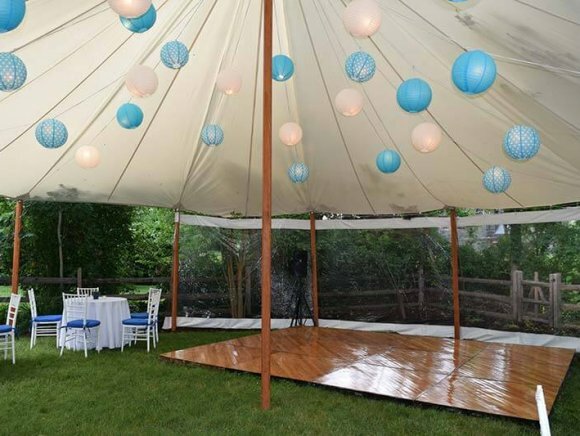 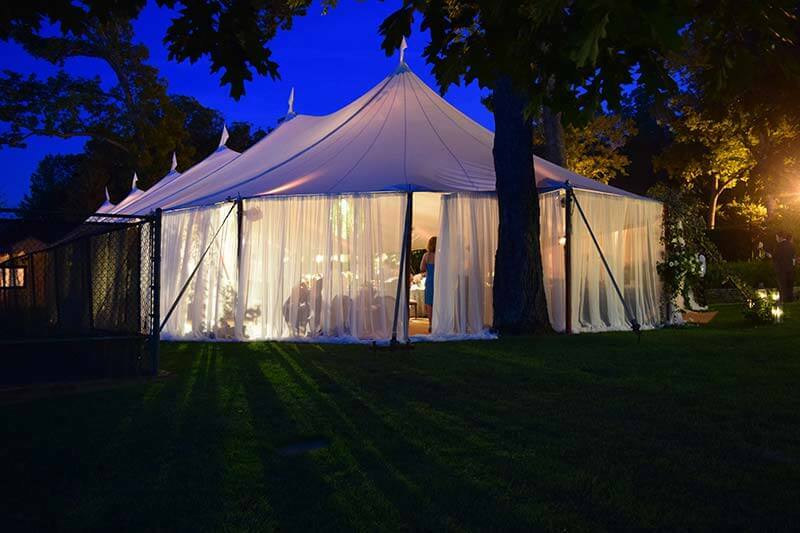 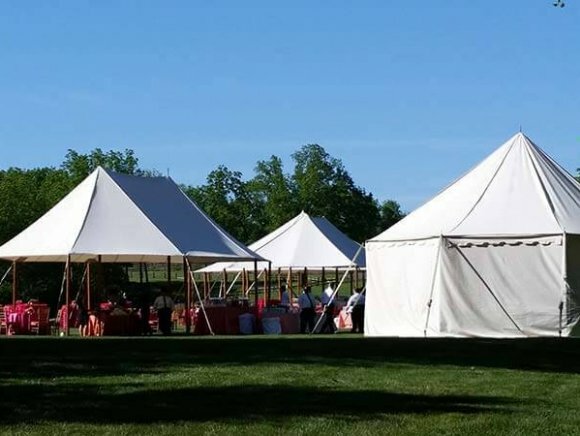 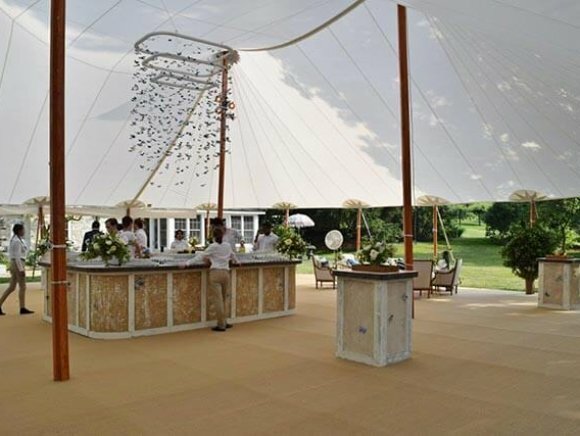 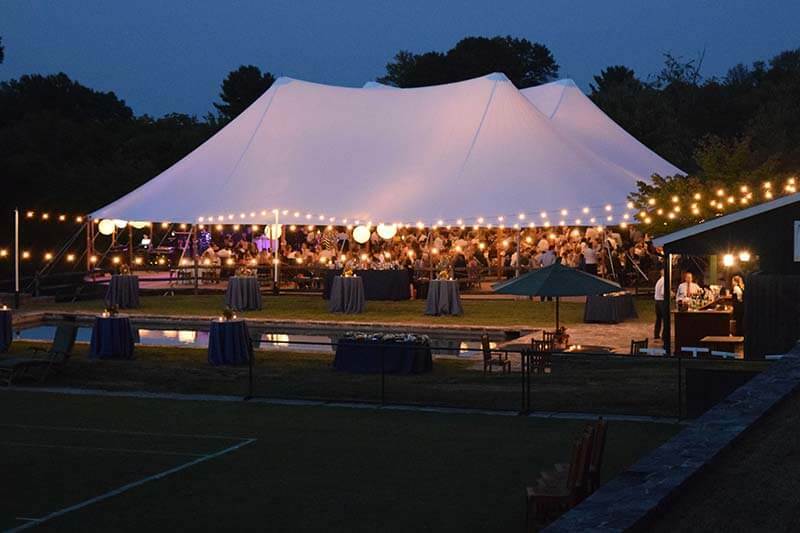 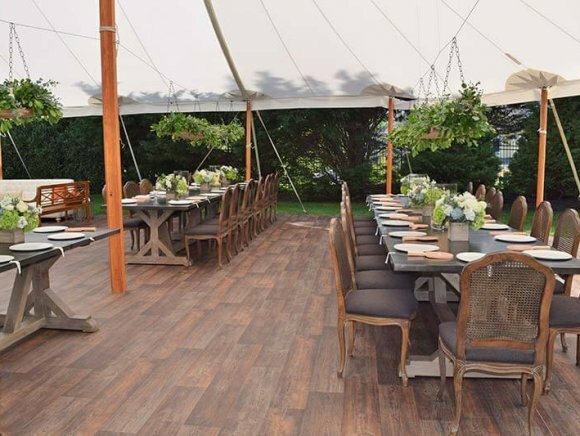 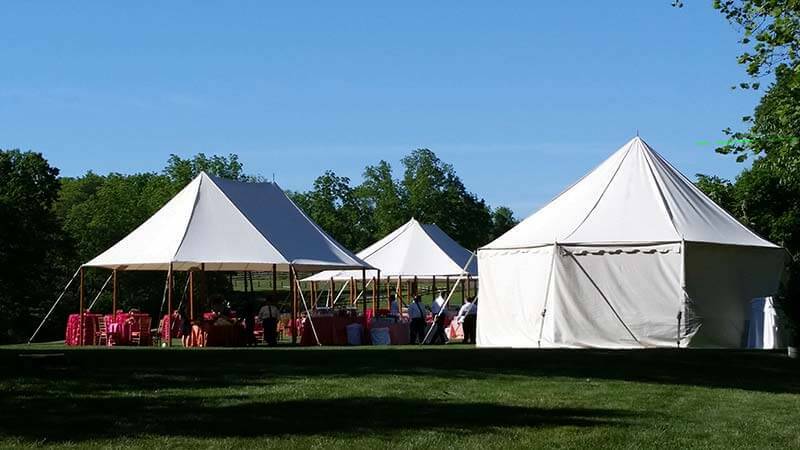 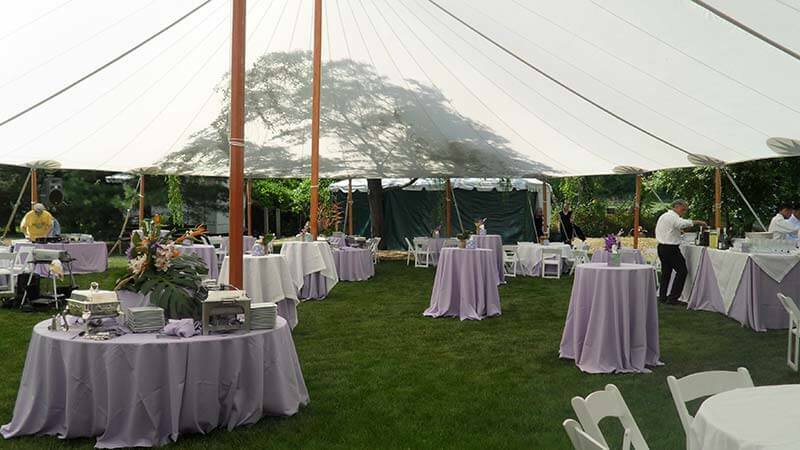 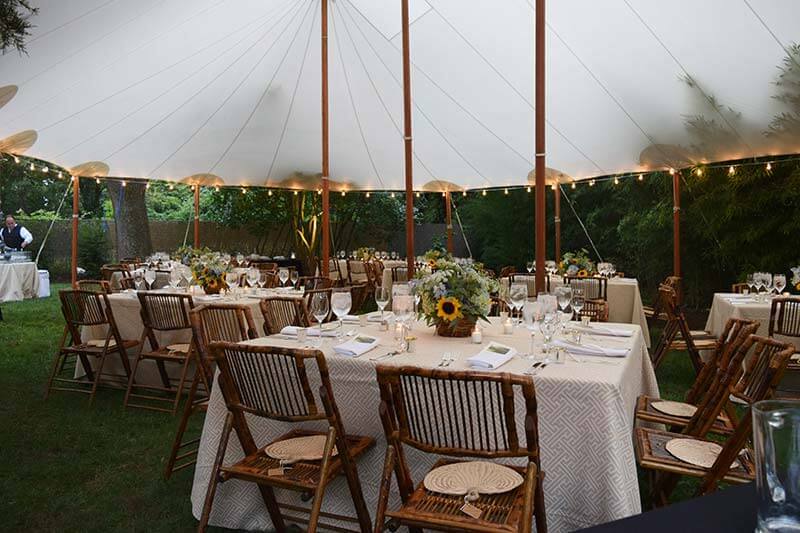 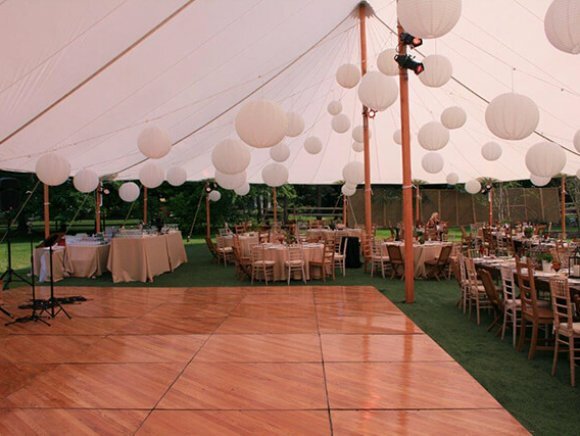 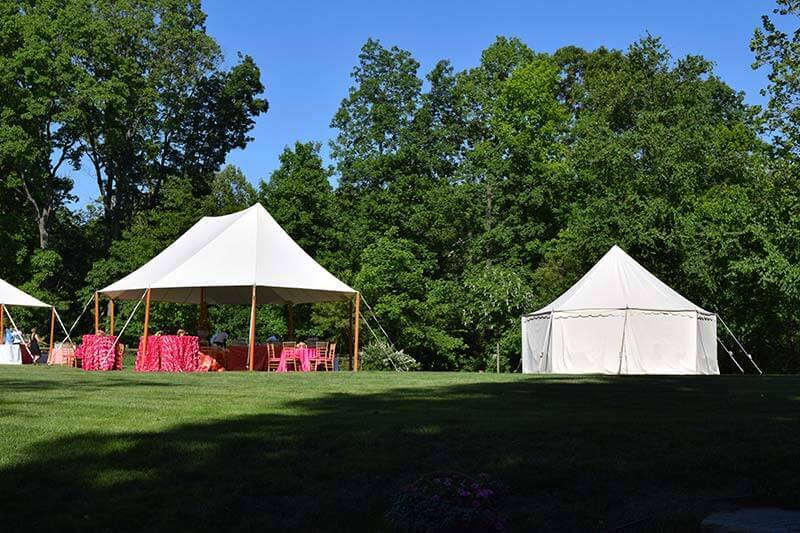 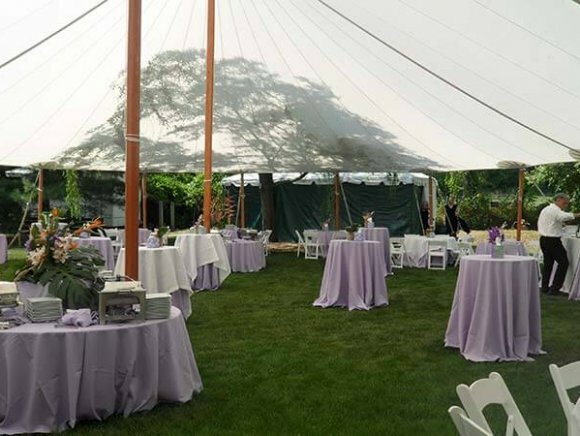 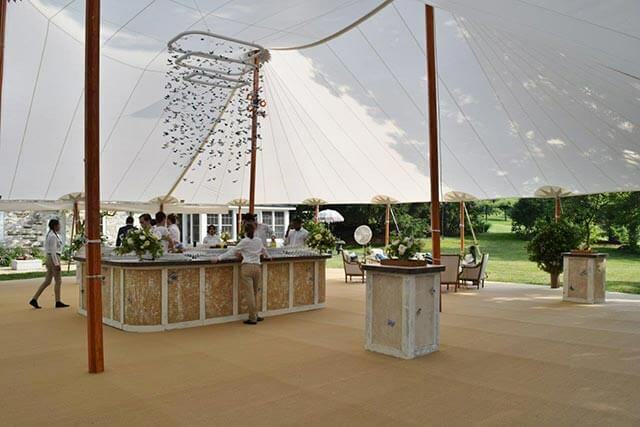 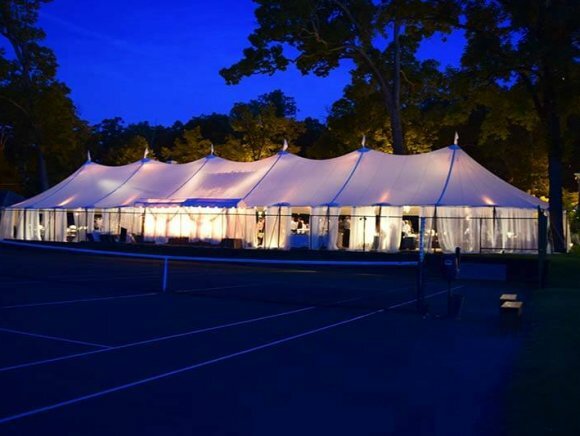 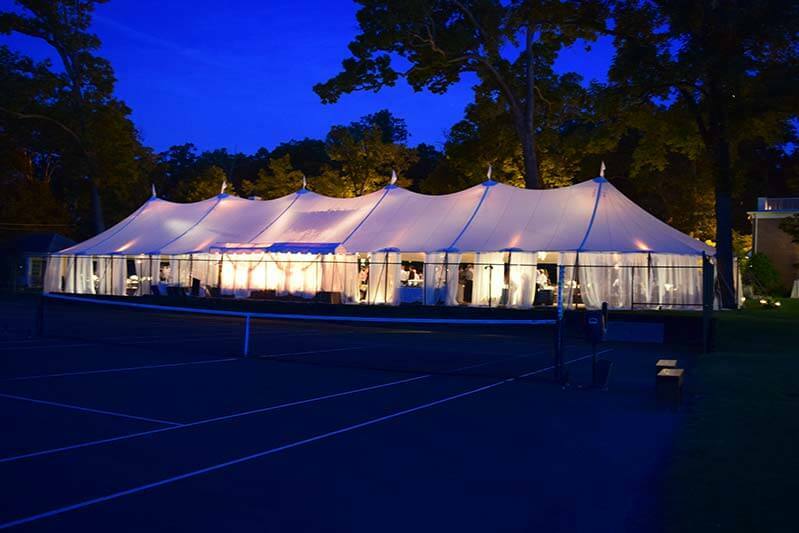 Sailcloth Tents | Loane Bros., Inc.
Sailcloth tents are made of a lighter weight, and translucent fabric, they have rounded ends and usually have natural wood poles. 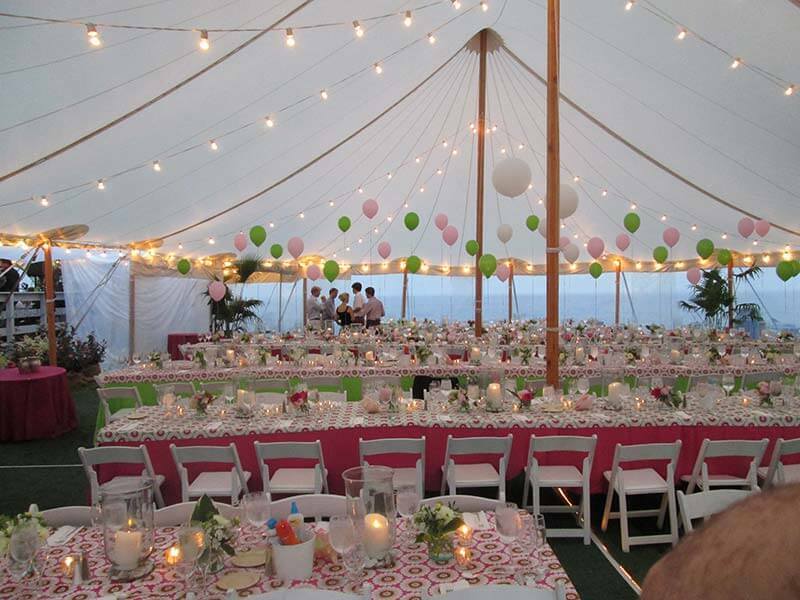 In the daytime, they require no additional lighting due to their translucency, and at night they glow from lighting in the tent. 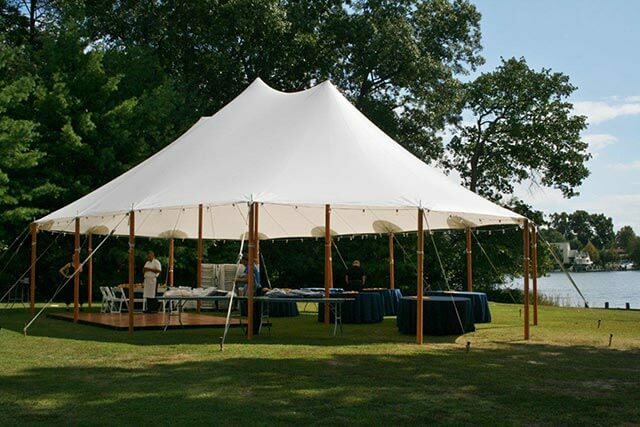 They can be fully enclosed, although that does take more effort than more traditional tent designs. 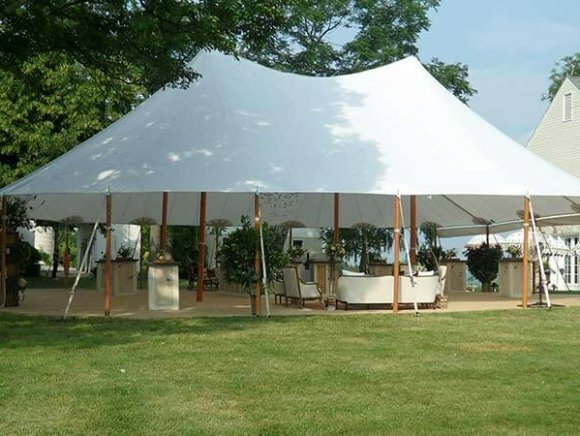 We also offer a line of true canvas tents which are similar to sailcloth tents yet they do have their own aesthetic. 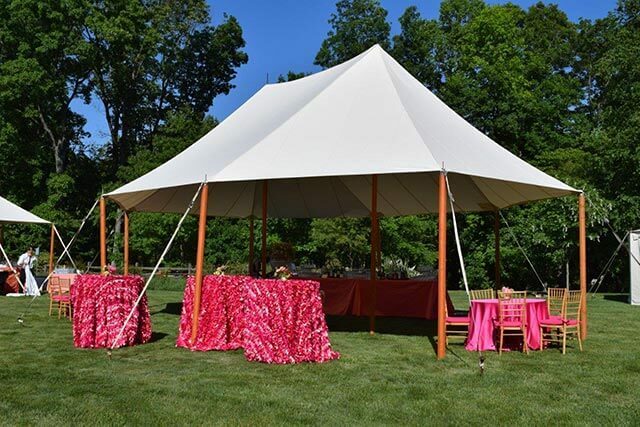 The cotton fabric is flame retardant, as are all of our tents and decorative fabrics.